One of the Palestinian Authority’s core obligations under the terms of the Oslo Accords is ending the popular anti-Israel incitement that permeates official Palestinian institutions and civil society. The PA’s failure to condemn calls to violence against Israelis, magnified by its own frequent contributions to the toxic rhetoric, has led to a dangerous swell in anti-Israel public sentiment that periodically bursts in lethal waves of terror against civilians. This incitement poisons the very foundation of peaceful coexistence, particularly when spread by Palestinian leaders whose cry for a national struggle against Israel spills into public discourse. When PA officials, including President Mahmoud Abbas, routinely lionize murderers and deny Israel’s legitimacy, it’s not surprising that Palestinian social media and popular culture follow suit. 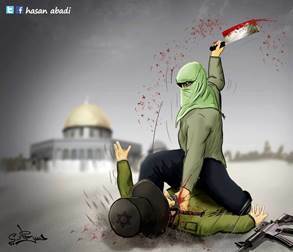 Below is a collection of some of the most outrageous examples of Palestinian incitement that stoke this extremism, which has erupted in series of stabbings, shootings, and car ramming attacks that claimed more than a dozen lives over the past two months. 1. The PA’s UN representative accused Israel of harvesting Palestinian organs. In a letter to United Nations Secretary General Ban Ki-Moon, Riyad Mansour, the Palestinian envoy to the UN, wrote that Palestinians shot by Israeli security forces “were returned with missing corneas and other organs, further confirming past reports about organ harvesting by the occupying power.” Danny Danon, Israel’s ambassador to the UN, called Mansour’s accusation a blood libel. 2. 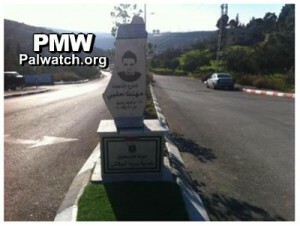 The PA condemned Israel for shooting two terrorists who carried out stabbing attacks in Jerusalem. On October 4, the PA called on the international community to intervene after two Palestinian men, Fadi Aloon and Muhannad Halabi, were killed by security forces in Jerusalem. Notably, the PA failed to mention that Aloon was shot after stabbing an Israeli teenager near Jerusalem’s Old City, while Halabi was shot after murdering Rabbi Nehemiah Lavi and Aharon Banita, and wounding Banita’s wife and their 2-year-old baby. The PA issued no condemnation of the attacks. 3. 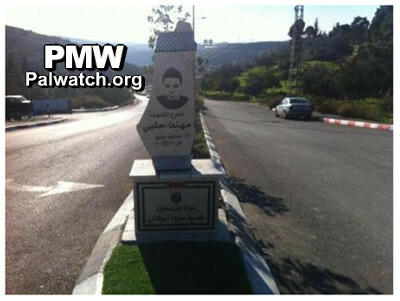 A Palestinian village, law association, and multiple government officials honored a terrorist who killed two Israelis and injured a mother and her child. At a rally held in honor of the terrorist, Fatah official Jamal Muhaisen declared that Palestinian men have a right “to cause Israeli women to cry.” Fatah, the dominant political party in the PA, is led by Abbas. In an October 9 sermon at a mosque in the Gaza city of Rafah, Sheikh Muhammad Salah “Abu Rajab” exclaimed, “My brother in the West Bank: Stab the myths of the Talmud in their minds! My brother in the West Bank: Stab the myths about the temple in their hearts!” A video of the sermon with a translation by the Middle East Media Research Institute is embedded below. Do not fear what will be said about you. Oh men of the West Bank, next time, attack in a group of three, four, or five. Attack them in groups. Cut them into body parts. 5. Thousands of Palestinians attended a hate-rally in Rafah. During the October 16 rally, a sprawling crowd waved butcher knives, meat cleavers, and other weapons while encouraging more terror attacks against Jews. A number of children were brandishing the lethal blades. A video of the rally is embedded below. Al-Habbash was appointed to his post by Abbas in 2009. Earlier this year, he said that the Western Wall is part of the al-Aqsa Mosque and that “non-Muslims had no ‎right to it.” In 2014, he declared before an audience of PA officials, including Abbas, that young jihadists who go to fight in Syria should direct their attention to Jerusalem instead. Abbas applauded his remarks. 8. Hashtags and images encouraging murder went viral on Palestinian social media. 9. Violent songs, including “Stab, Stab” and “Run Over, Run Over the Settler,” became popular sensations. In October, The New York Times reported on some of the “nationalistic” tracks dominating Palestinian airwaves. “Stab the Zionist and say God is great,” declares one, a reference to the spate of knife attacks since Oct. 1. “Let the knives stab your enemy,” says another. A third is called “Continue the Intifada” and comes with a YouTube warning — the video shows the Palestinian woman who pulled a knife at an Afula bus station surrounded by Israeli soldiers pointing guns. 10. Abbas referred to all of Israel as occupied Palestinian territory before the UN Human Rights Council. The mention of 67 years or seven decades indicates that Abbas was speaking about the time of Israel’s establishment in 1948, rather than 1967, when Israel assumed control of the West Bank. 11. The PA’s official newspaper ran an op-ed claiming that Israel was behind the terror attacks in Paris. A day earlier, the official Facebook page of Fatah posted an image equating Israel with ISIS. Dishonorable mention: UNRWA employees spread anti-Semitic graphics on social media. Initially, UNRWA spokesman Chris Gunness responded to the reports by calling them “baseless,” and attacking the credibility of UN Watch. It was only after much pressure that UNRWA investigated the allegations and eventually suspended a number of employees over the incitement.